Things on the farm are finally bursting from the soils and germination mixes, just as the Spring blossoms are bursting from their respective trees, shrubs and wildflower stems. Our lives have been non-stop action since we moved our little family onto the plot and I have scarcely had a moment to reflect on it all. We've had our Farmer's Market Meetings and made our commitments. Now it is time to convince our growing vegetation to fruit and prosper. We have done our best to think only positive thoughts, as we feel this will benefit and carry our little seedlings into this world. This has been more of a feat than it seems. As human beings we have evolved thinking cynically about things in the world. It is a defense mechanism. We don't trust uncertainty or people because a lack of trust can prevent danger. I've done my best to go against the grain of my mental lumber. The only way to do this, really, is to adopt a "go with the flow" attitude which is exceedingly difficult when the fate of so much of your livelihood is out of your personal control. When something happens on the farm (something doesn't germinate, something gets eaten, there is persistent rain for 200 years, one of the dogs runs through a newly seeded field to chase a wandering and unsuspecting chicken) we have to clear our minds of the newly formed obstacles and think of ways the problem will sort itself out or appreciate the way these little happenings alter the course of our journey. We've made some additions to our family, our four Rhode Island Reds are now older sisters to our newest batch of day old chicks. Maybe the new babies will make them jealous and finally convince them to start laying eggs. We have a Buff Orpington, Black Australorp, Ameraucana, and a Golden Laced Wyandotte. These little mamas along with their older sisters will be our family birds. Elliot being the cook that he is will go through a lot of eggs during the week if they are available (hopefully to make me all the ice cream and pimento cheese sandwiches I can eat.) 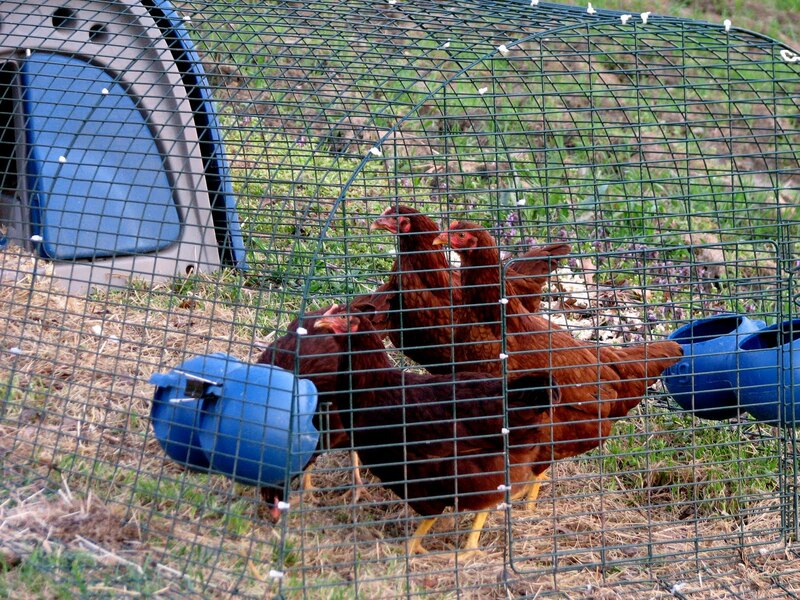 Our chickens will live (as the Rhode Island Reds already do) in chicken tractors and be moved across our dormant "No Till" fields at certain times so that we can make the most of their nutritious, nitrogen filled poop. Speaking of poop, that has been the main word to describe my activities this week. Whether I am cleaning poop from a coop, spreading grass fed cow poop over a field, or mucking out a goat dairy stall and loading the poop filled hay onto a truck, my life has been very poop centered. One of the most natural ways to reestablish a nutrient base to a soil is animal waste. It is a cyclic system, where plants create energy from the sun and steal the nutrients they need to thrive from the soil. Animals eat the energy and some of the nutrients from the plants and the waste material from this activity comes out the other end in a nutrient dense form. On a pasture, this cycle can be seen very readily. As the cows move across a field, eating the vegetation as they go, they are also fertilizing the land with their waste. As long as they are moved often enough (and there are many other factors that determine how often they should move) the grass stays very green and grows relatively quickly. Because we don't want animals walking on our vegetables or browsing their fruiting bodies and vegetables, fruits, and herbs feed on nutrients differently, we bring manure in manually from these animal sources and spread them on our fields. Where there is good poop to be found, you will probably find me moving it. The easiest way to get healthy, productive vegetation is to provide a nutrient rich, diverse soil. More on that later.. If I see you soon, sorry for the smell!